I worked in a shoe store in the mid-1960s. My dear, devoted, now departed step-father owned the store and insisted I work there over one summer to “learn the value of a dollar”. He paid me all of 15 of those dollars a week, woke me up summer mornings at 6:30 to get from Brooklyn to Rockville Centre, Long Island to open up at eight. I hated it. Was awful at selling. Too shy at the feet of women, squeezing them into shoe sizes too small, not having any gift of gab that salesmen need to draw upon to close a sale. I was just awful. 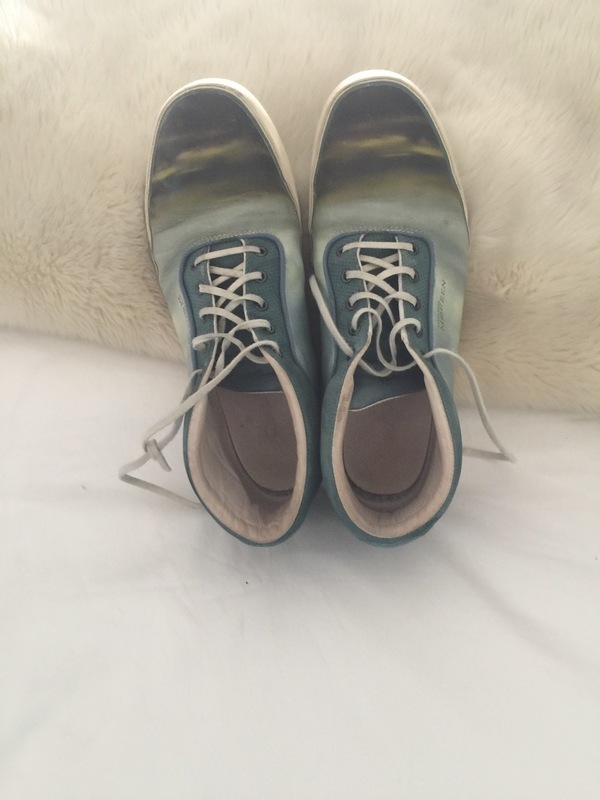 But as a perk, a partial perk, and not necessarily a perk I preferred, I was given all my shoes for free. It was a family shoe store. 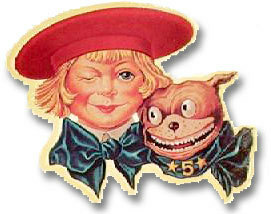 Buster Brown for kids. American Girl for the younger woman. Enna Jetticks for the geriatric set. 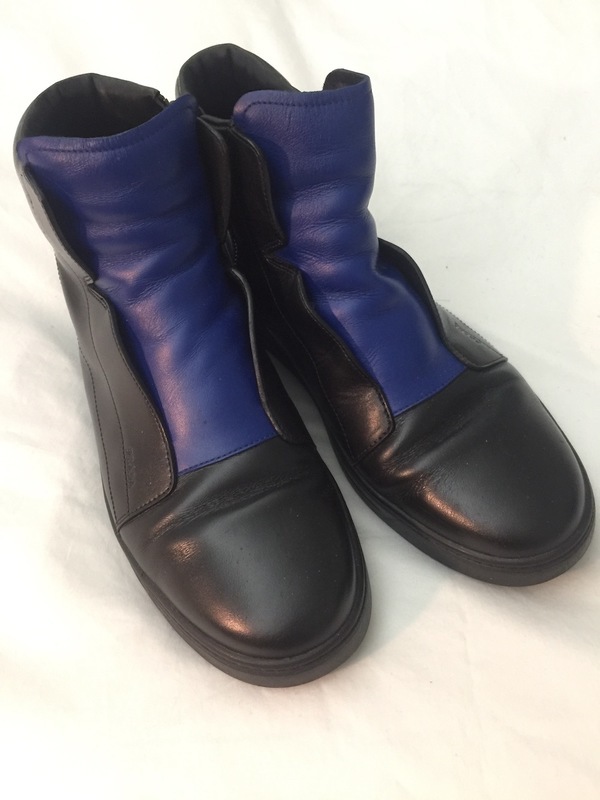 There were also nurses shoes made by Clinic and orthopedic shoes, winter boots and other brands. Brands I suspect long out of business. In short, not a fashion spot, not a specialty store. Something for everyone. Except me. a star at the time, made them HUGE) and beige bucks and grey bucks. He had a cowboy boot line—Dan Post the name, and in that I took unfair advantage of him and his generosity. 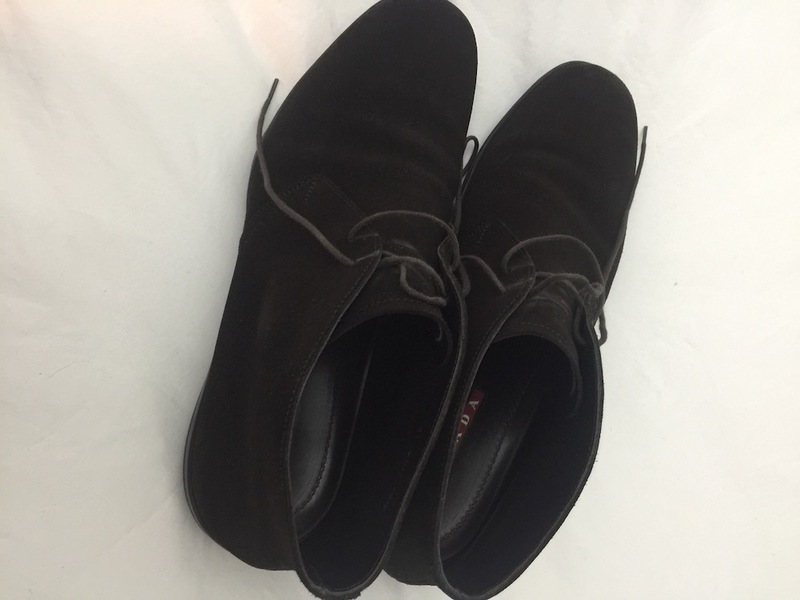 Black lizard boots, tan lizard boots—nice, but not me and not cheap! the idea that he would just hand me these things for my feet at half the price of what it would be retail. Really, not cheap. But he was happy to…um, foot the wholesale bill. I wore the boots and the bucks and was bored with it all. At 20, I got myself a real job. And with my first paycheck, walked into a shop called “Regal Shoes” on Kings Highway in Brooklyn, and bought myself a pair of black leather pointy-toed loafers. They were cool. They were glossy. They were actually not really suited for my feet—there was a stretch of gore on the sides, but my feet were flat and wide so they stretched out at the sides and the sleek appearance, when not actually on my feet, was spread out and ruined. But I wore them out because they were my very own. In 1968, they cost $19.99. Years pass. Other shoes are purchased. I remember a particular pair of dark brown patent leather loafers, these wide enough to hold me in. They might have been as much as $50, tops. Through the 70s and the 80s there was a pair of outrageous purple sneakers. And also Hush Puppies (my father actually carried that brand years before before its hip resurgence). By then, I was shopping at the high end spots, now gone, much like Halperin Shoe Stores, my Dad’s place. 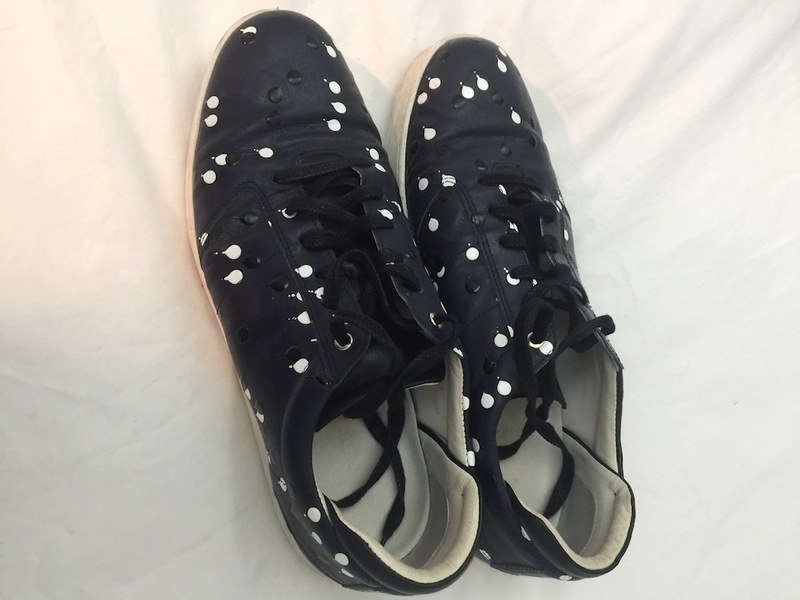 Places like Susan Bennis and Warren Edwards, the Chelsea Cobbler, Patrick Cox…Still, none of these elegant shoes, at the time, cost more than $200, except if you wanted alligator. A few months ago, while it was still 2016, my husband, David, rolled his eyes into his head when I came home with a pair of Christian Louboutin “casual” shoes, moss green with (yikes!) spikes! 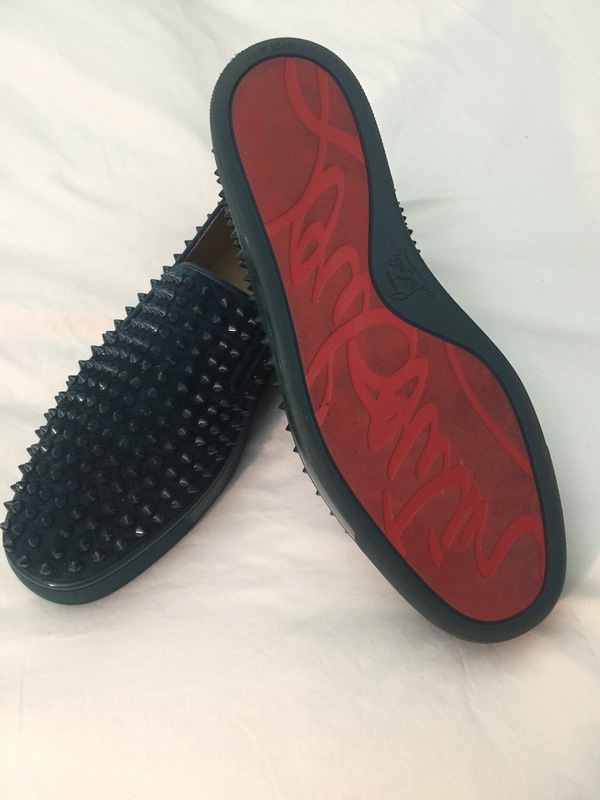 the famous red sole, and a price tag of $1199. Plus tax. They turned out to be on sale. Somewhere in the $300 range. A bargain. 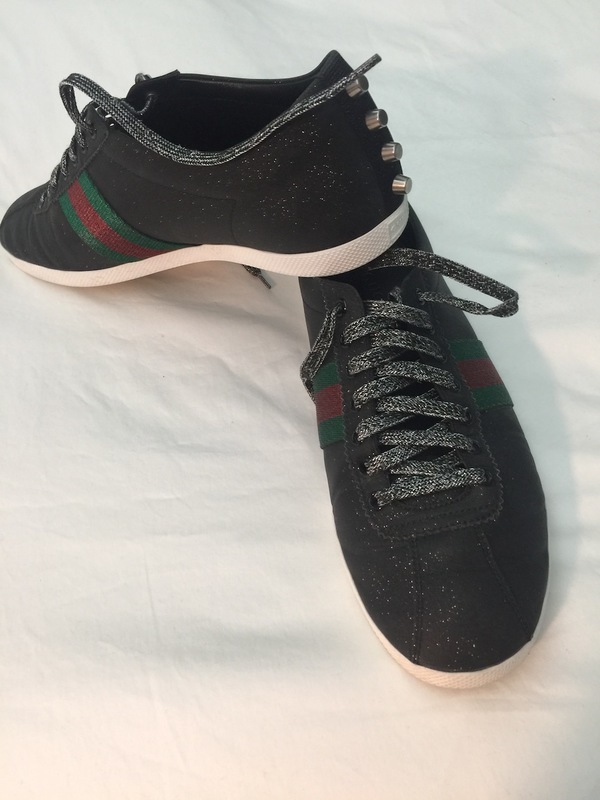 Shortly thereafter, I got me a pair of Gucci sneakers: black polyester with sparkles that really shine in the sunlight, subtle in darkness, and the classic red and green stripes. And spikes, again! At the heel. Price tag $695. Plus. 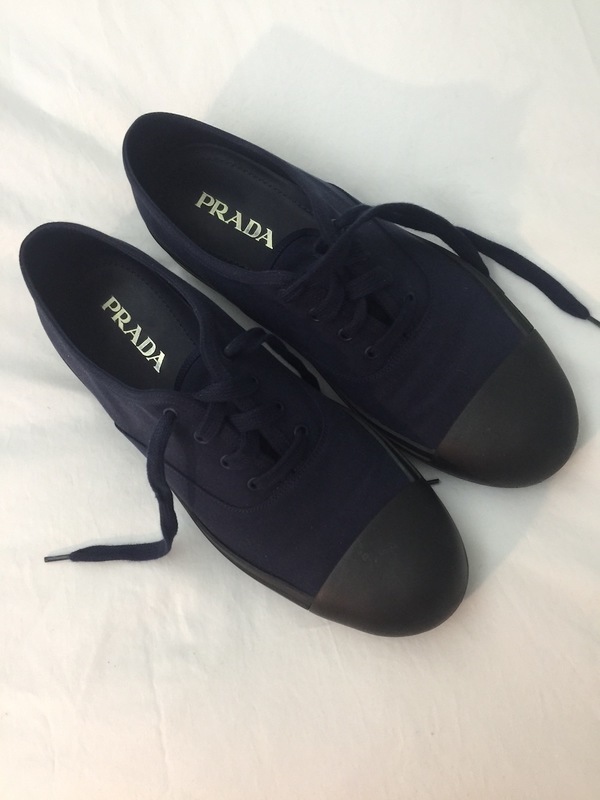 And then, there’s Prada, a favorite, You pay a lot, but they last forever. I bought two pair of booties, suede, the same shoe in two different colors. --something I never do, at well over a grand for the two. And then the boots. Black. Blue. $650. Yes. Tax on top of that. David could take this mad obsession of mine no longer. one too tight and eventually tossed. 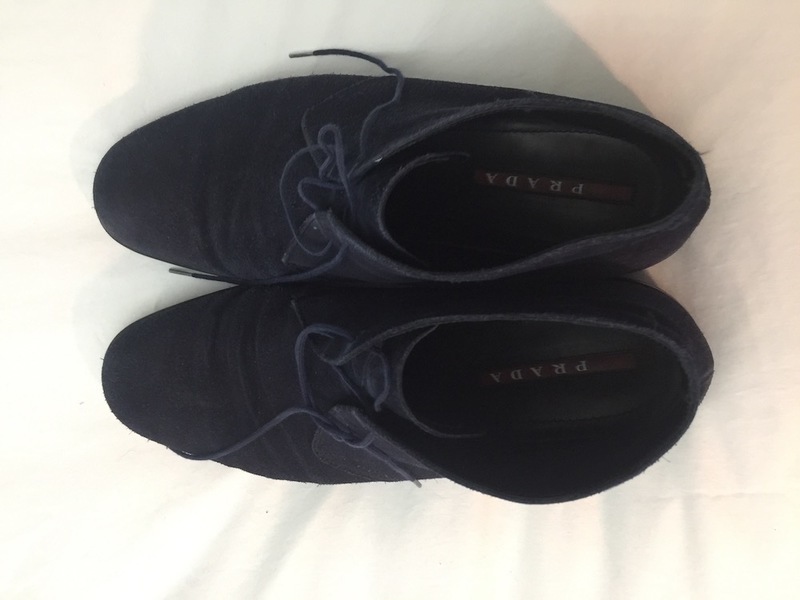 But the really good thing about shoes, when they fit, when you actually get the right size—I guess I must be called a shoe-man, my roots, deep in my sole/soul—is that at a certain point your shoe size remains your shoe size (European sizes somewhat harder to figure out). No matter that your waist size, jacket size, shirt size, ring size, that always drift higher with the years, the decades, always needing letting out or tossing out. Your shoe size remains your shoe size. 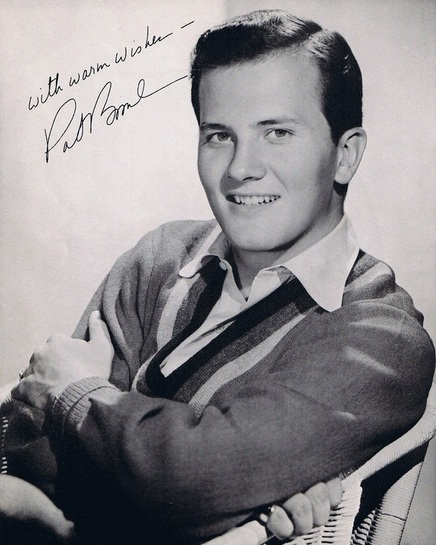 I wear size 11 ½, for 55 years, I wear size 11 ½.
I must have never learned the value of a dollar, as my Dad insisted I do when he paid me those 15 dollars a week to work as the world’s worst shoe salesman back in 1963. Soon, I may pay $2,500 for a pair of shoes—semi-precious stones, fur lined. And I will gladly pay it. In memory of all the shoes I hated, but got for free. Hated the shoes. Loved the step-father who gave them to me. Along with my first job and a sense of purpose, ambition, gifts I couldn’t realize at the time, even if this shoe thing is dizzyingly out of control. that dear man who has cost me roughly what I could buy a house in the Hamptons for all I’ve spent on shoes over the years. Or ... OK, maybe just a summer rental.